This week has been a quiet one on the blog front. Tomorrow is the day that all eighteen of us present our planting plans for the Balham garden project so I’ve had my head down. I know this will get easier as we become more experienced, but it’s really nerve wracking. 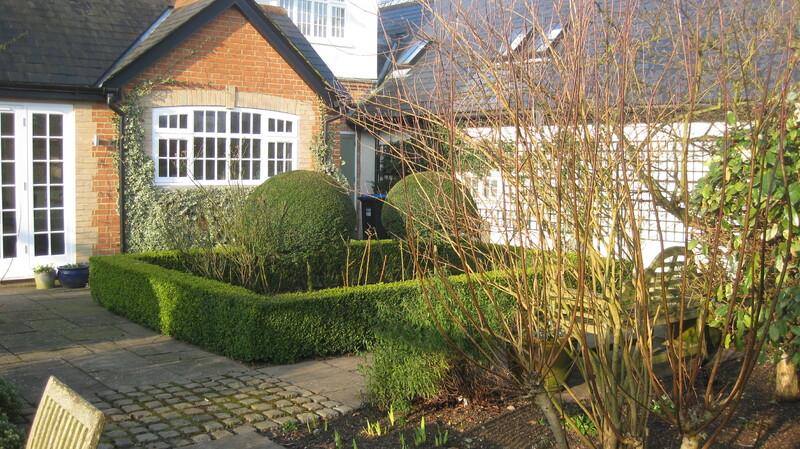 My planting plan uses shrubs to create year round structure and interest. So earlier this week, before setting off for Hampton Court, I went out into my own garden to have a look at how the structure is working in the winter months. It was a beautiful morning, frosty and bright. 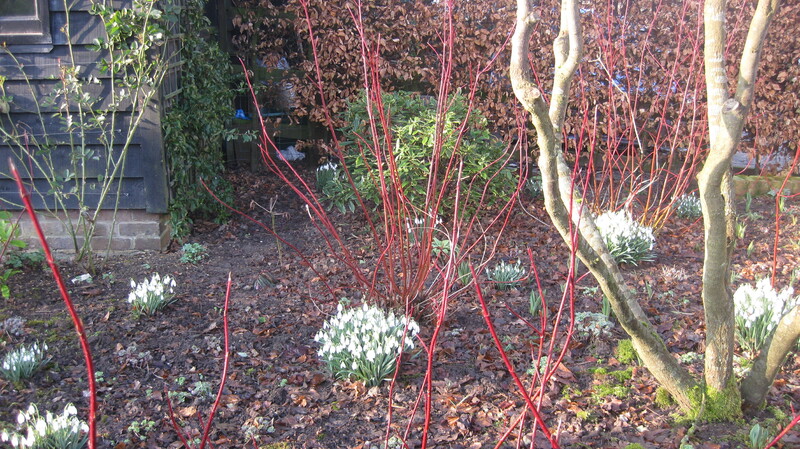 The snowdrops were looking very pleased with themselves, shimmying up to the red stems of the cornus. Without the foliage and flowers of spring and summer it was interesting to see how the trees and shrubs were doing on their own. 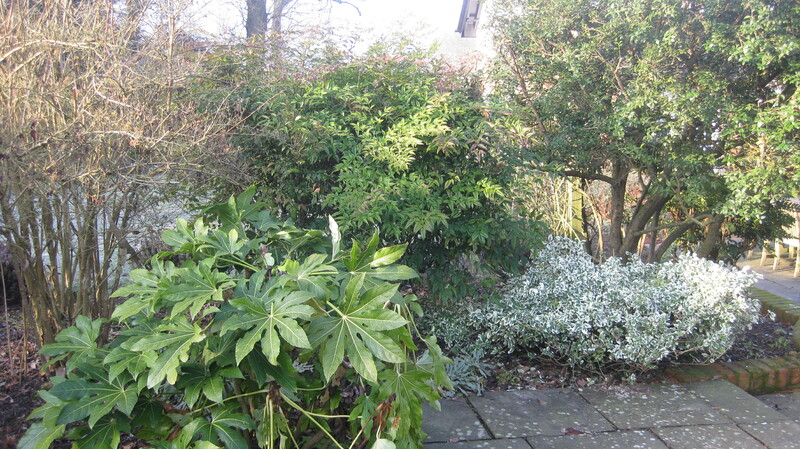 I’m using Fatsia japonica, Nandina domestica and Euonymus in my plan so it was good to see the three of them looking so sprightly. 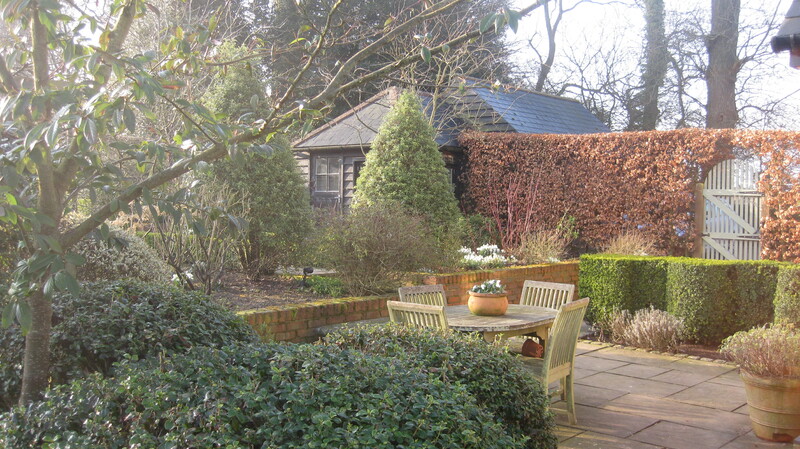 And it was a really good exercise to focus on the structure and form in my own garden. I’m learning to see things with new eyes and I’m loving it…….